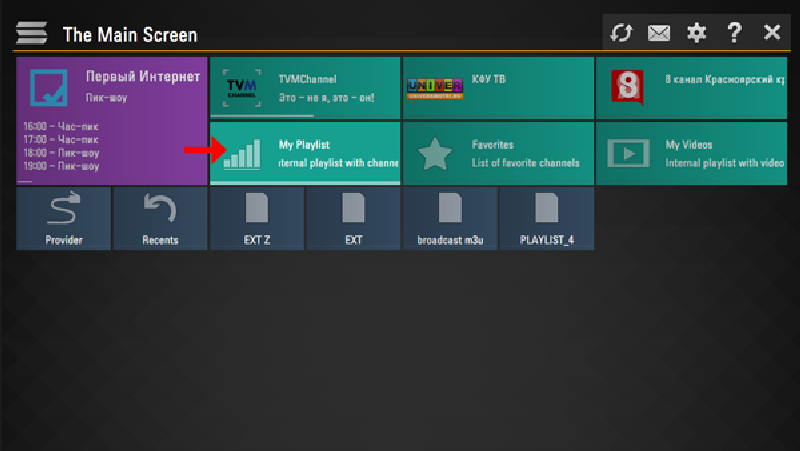 To upload user playlist press “Settings” button of the main screen. There are two methods to upload your playlist. Select “Uploading by link (external playlists)“. To upload playlist by link go to the Content section of the app’s settings, choose External playlists subsection and click Add button below the screen. 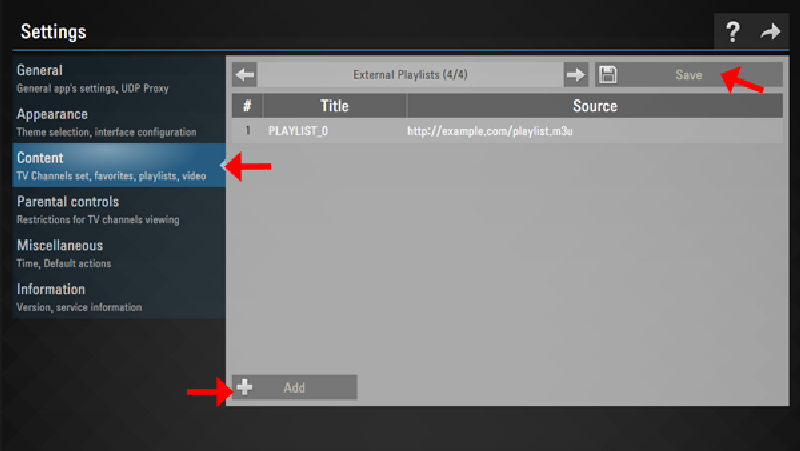 Enter desired playlist’s title and the link of your playlist in corresponding fields and press Save button. 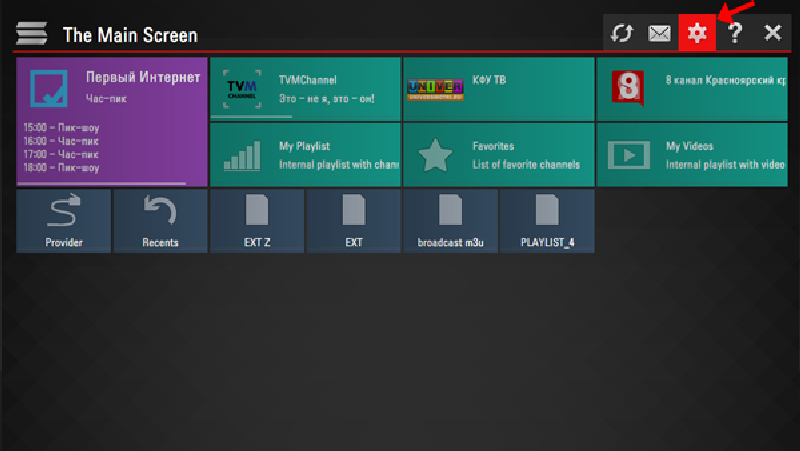 Your channel list will be available through tile My playlist on the Main Screen.